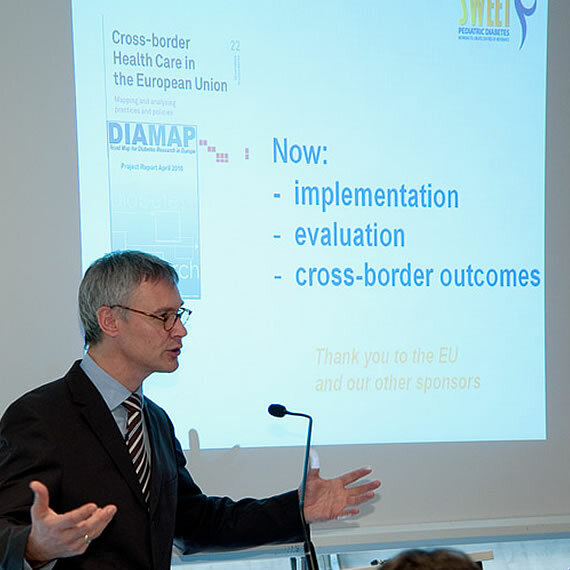 Initiated with support of the EU Public Health Program in 2008, the SWEET project aimed to improve secondary prevention, diagnosis and control of type 1 and type 2 diabetes in children and adolescents by supporting the development of centers of reference (CoRs) for paediatric and adolescent diabetes services across the EU. And that is exactly what the SWEET-project achieved over the three-year course under EU-funding (2008-2011). ‘SWEET’ is an acronym derived from ‘Better control in Pediatric and Adolescent diabeteS: Working to crEate CEnTers of Reference’. However, the end of the SWEET-project in March 2011 has not been the final chapter of the SWEET story. Through the legal entity, SWEET e.V., the network has become a registered charity with close ties to scientific organizations such as the International Society for Pediatric and Adolescent Diabetes (ISPAD) and NGO´s like the International Diabetes Federation (IDF). The main aim is to sustain and expand the current high quality professional network for the treatment and care of children and adolescents with type 1 diabetes, based on agreed standards of care, international guidelines and quality control. 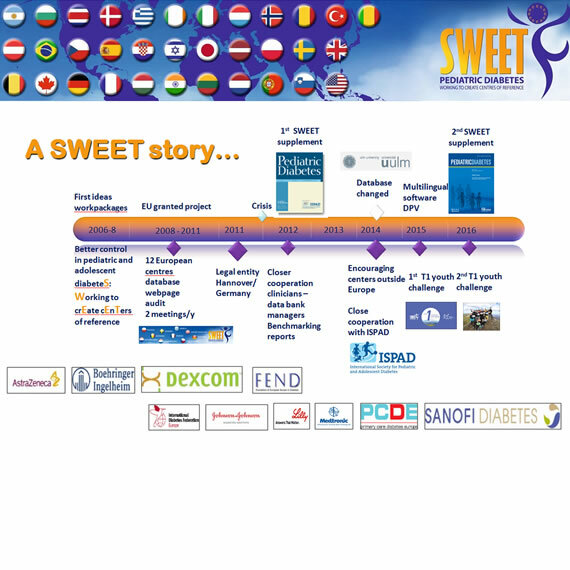 Today, the SWEET network is more alive than ever: soon it will reach the number of 30+ certified Centers of Reference in pediatric diabetes care, providing modern and evidence-based care through a multidisciplinary approach. All these certifications are based on clearly defined quality-of-care guidelines and requirements which have to be met in order to become a Center of Reference in pediatric care. In addition, a Peer Review Program in Collaboration with the NHS England has been developed and implemented. Over the past years, much more than the creation of these reference centers has been achieved. 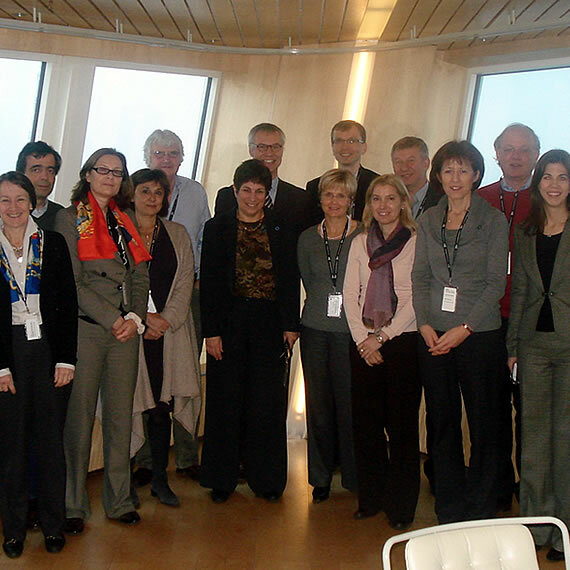 A close collaboration and strong network between pediatric diabetes healthcare professionals across and beyond Europe has been established. This collaboration is not only situated on a medical level, to compare and contrast models of good practice, but also on a research level, in order to make modern evidence-based care available to children and adolescents with diabetes. In addition, SWEET has been put forward as a best-practice model in several countries. In the UK for example, the SWEET guidelines and recommendations have been used as a catalyst and foundation to work towards improving and standardizing many aspects of care e.g. education for children, young people, families and health care professionals. SWEET has also received considerate political attention. 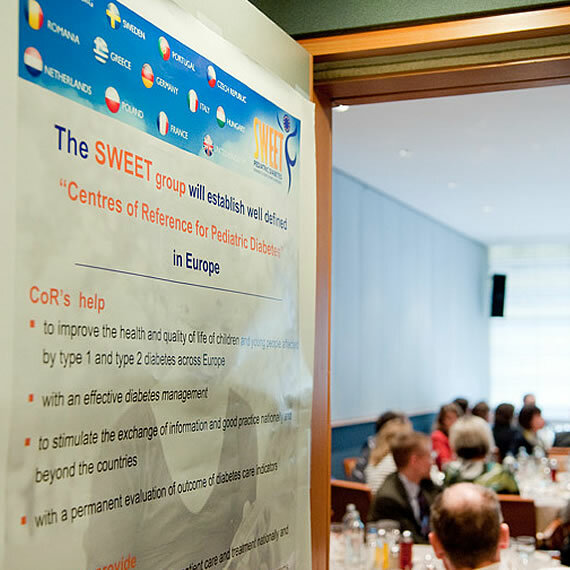 Apart from the meetings in the European parliament to raise awareness on the importance of high-quality pediatric diabetes care across Europe, SWEET has lately also drawn the attention of the European Commission in the framework of the European Reference Network (ERN) project of the Commission.